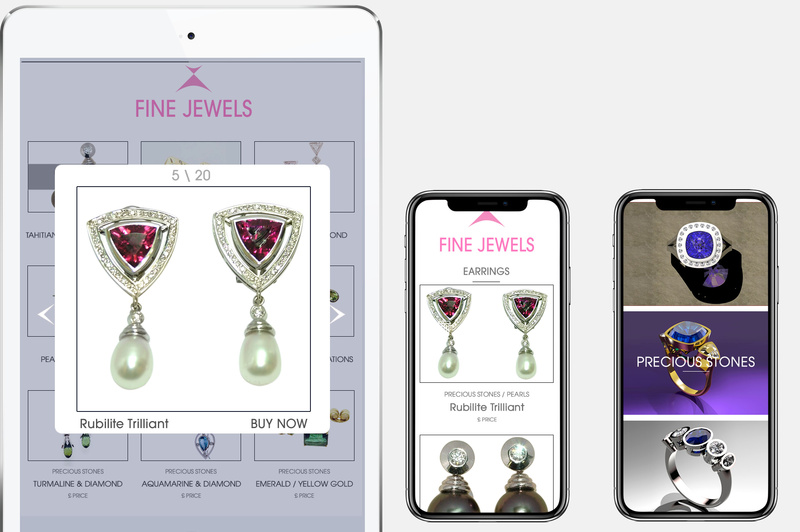 FIRST IMPRESSIONS COUNT - we believe that Mobile-friendly, responsive sites are a must, otherwise nobody will consider buying from you unless your offering is nicely displayed on a mobile phone. 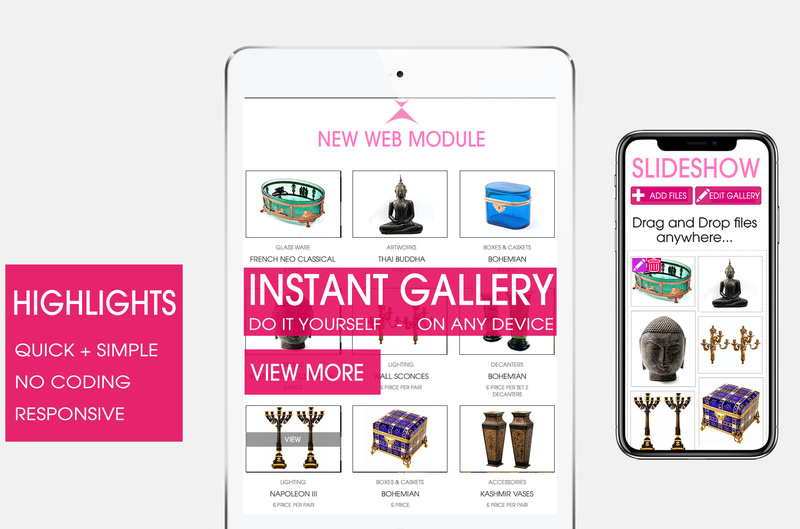 We have answered your request with INSTANT GALLERY - the ultimate window popup tool. 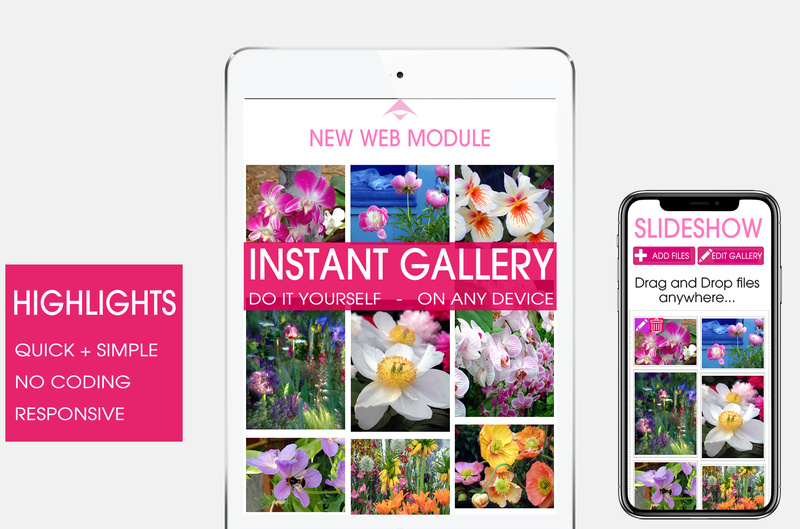 Create your own galleries - from any device - no coding required. 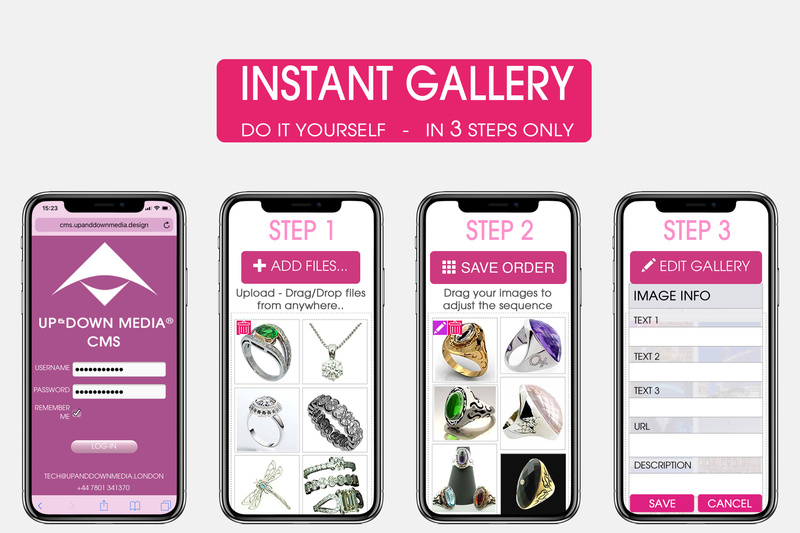 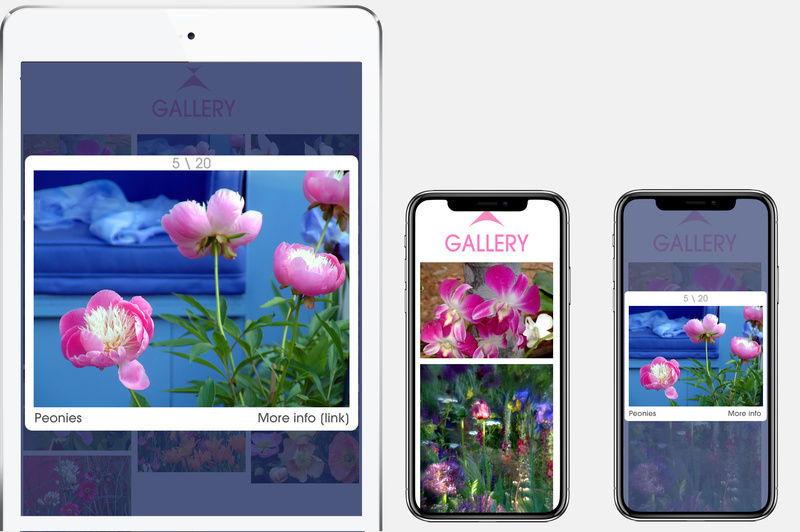 Mobile-friendly, responsive, and loaded with advanced features - you can create a thumbnail-driven gallery capable of displaying images with descriptions and links within minutes. 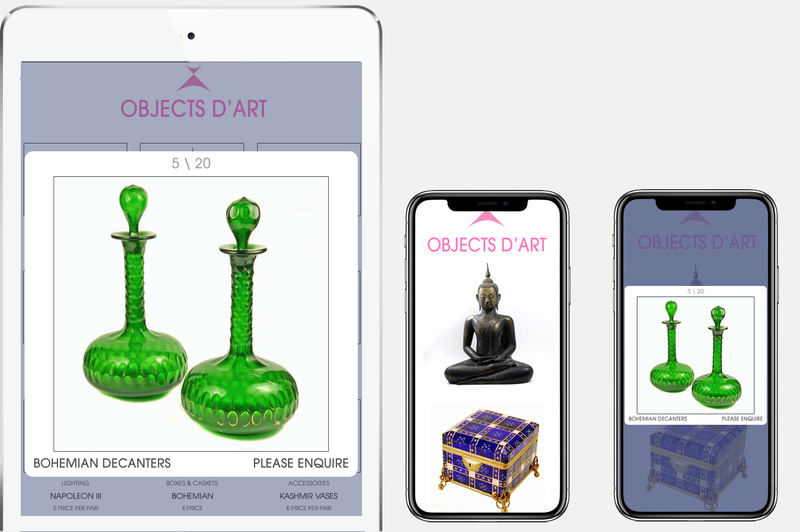 Indispensable for jewellers + silversmits, photographers, artists, gallery owners, interior and architect studios - in fact anybody who needs a portfolio or stock display. 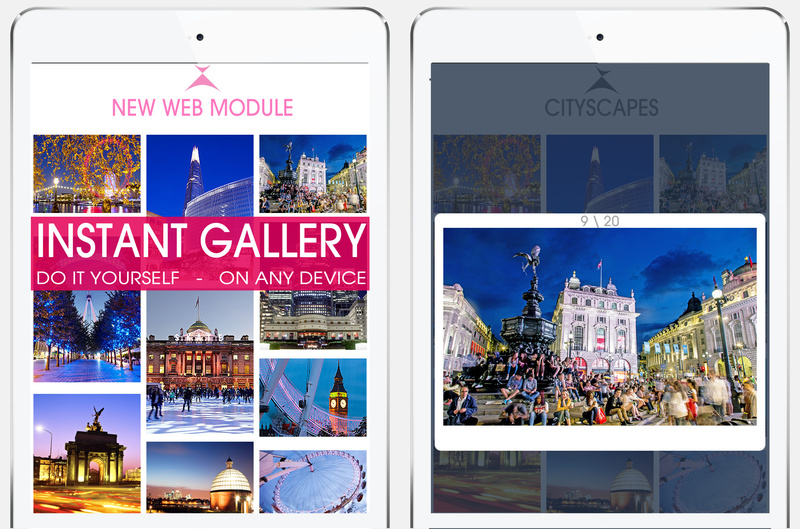 We will set up for a you as many gallery pages as you need - customised to match your website's colour scheme. 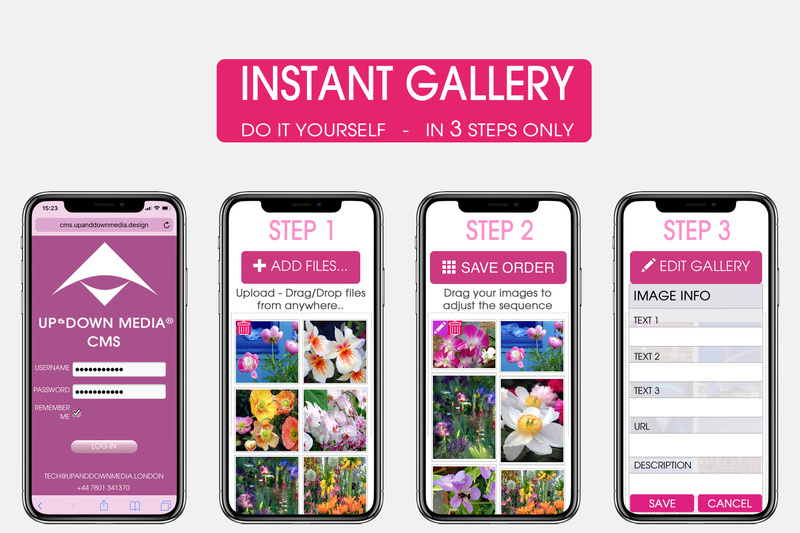 All you need to do is upload your images in batches of up to 10 - either from your desktop or mobile devices. 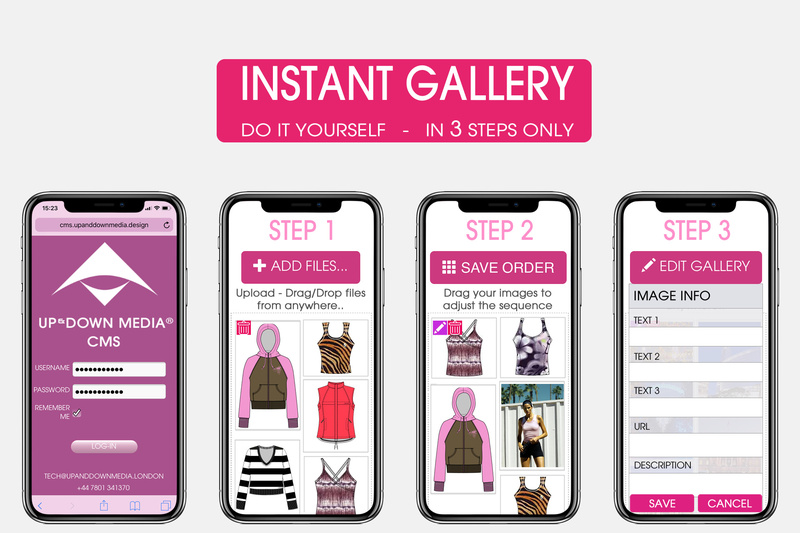 At any time you can re-sort your images and add as many as 3 text lines - ie. 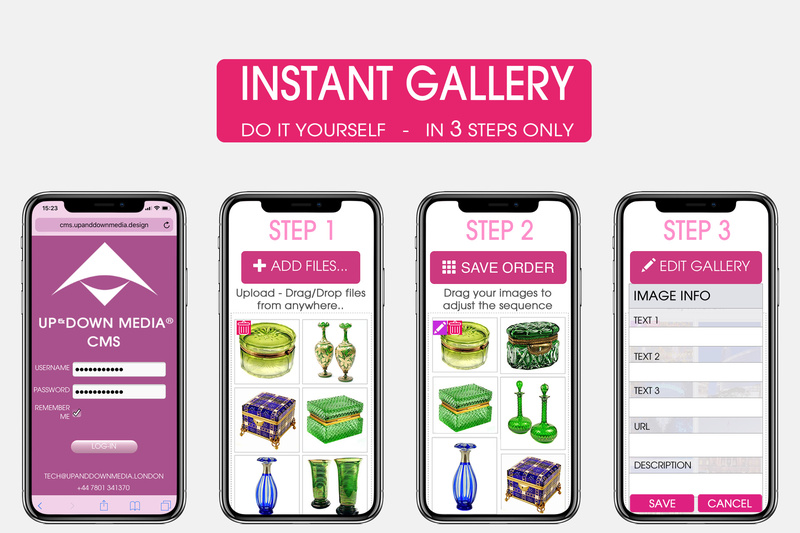 Artist, Title, Medium [for galleries] that will display below the thumbnail. 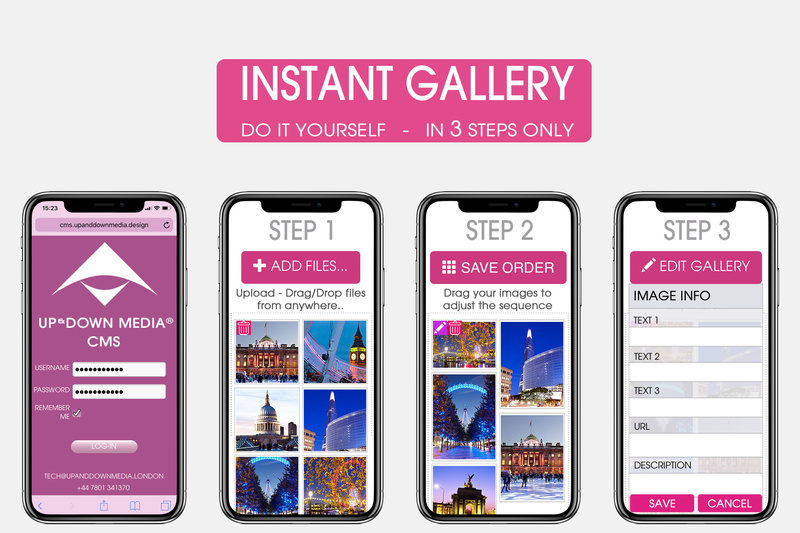 As easy as Instagram, but with added features..